As the winter solstice comes closer, people of Lyria and Rivia are getting ready to celebrate. Air is filling with magic as families gather to bond after a long war with Nilfgaard. Celebrate winter solstice with us by sharing your vision of holiday celebrations in Lyria and Rivia on their first winter after events shown in Thronebreaker: The Witcher Tales. Best entries will be awarded! 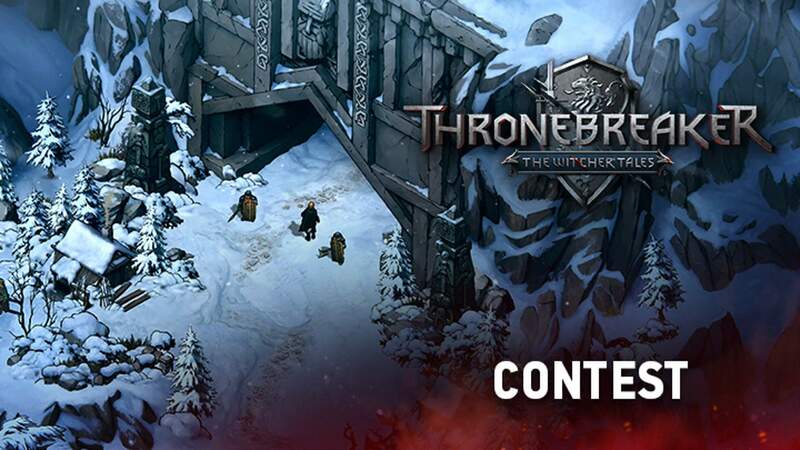 The winner will get a Thronebreaker: The Witcher tales box (containing Thronebreaker goodies and a digital copy of the game) and a GWENT goodie set. Runner up will get a GWENT Artbook and a GWENT goodie set. Third place will be awarded with a GWENT goodie set. Feel free to share your vision in a comment section below, but please remember that you have to send an email in order to get a chance to win a prize. The contest will end at 23:59 CET on Thursday, December 13th and winners will be announced within a week after the end of the contest. Full rules can be found here. Your personal data controller is CD PROJEKT S.A. with its registered seat in Warsaw, Poland, ul. Jagiellońska 74, 03-301 Warszawa. Your personal data will be processed for the purpose of carrying out a competition organized by CD PROJEKT, in which you intend to take part, in particular for the purpose of contacting contestants, assessing submissions, awarding prizes and announcing results.